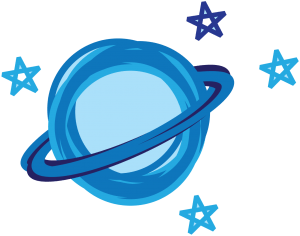 The Dunlap Institute’s Discover the Universe program has been awarded significant financial support from the PromoScience Program of the National Sciences & Engineering Research Council of Canada (NSERC). Using the Australia Telescope Compact Array at the Paul Wild Observatory, Gaensler and his colleagues observed the magnetic field by studying the radiation coming from the object. By analyzing the properties of this radiation, they were able to trace the magnetic field. The pulsar PSR B1957+20 is seen in the background through the cloud of gas enveloping its brown dwarf star companion. Image: Dr. Mark A. Garlick; Dunlap Institute for Astronomy & Astrophysics, University of Toronto. 2. Main and his co-authors used data obtained with the Arecibo Observatory radio telescope before Hurricane Maria damaged the telescope in September 2017. The collaborators will use the telescope to make follow-up observations of PSR B1957+20. Using a novel method, a team of astronomers has performed the most comprehensive search yet for a radio signal from the cosmic web, the vast network of filaments connecting clusters of galaxies. The search is an important step forward in mapping the large-scale magnetic field of the Universe because any radio signal from the cosmic web would be generated by the interplay between gas in the filaments and the filaments’ magnetic field. So, instead of directly searching for the signal with a radio telescope, the team compared—or cross-correlated—infrared maps of the sky showing the positions of galaxies, with a radio survey of the sky conducted with the Murchison Wide-field Array (MWA), a radio telescope comprising 2000 antennas in the Western Australian outback. The distribution of galaxies across the sky should trace the cosmic web in the same way that mapping the distribution of cars in a city would trace the city’s streets. Cross-correlating that map with the radio sky survey would then enhance the web’s radio emission so that it stands out in relief like a mountain range on a map. Using this method, the team did not directly detect the radio cosmic web, but they did establish a maximum possible brightness for the signal—something astronomers refer to as an upper limit. The results were published March 22nd in the Monthly Notices of the Royal Astronomical Society. Vernstrom, an astronomer with the Dunlap Institute for Astronomy & Astrophysics, University of Toronto, is the paper’s lead author; Gaensler is a co-author and Director of the Dunlap Institute. 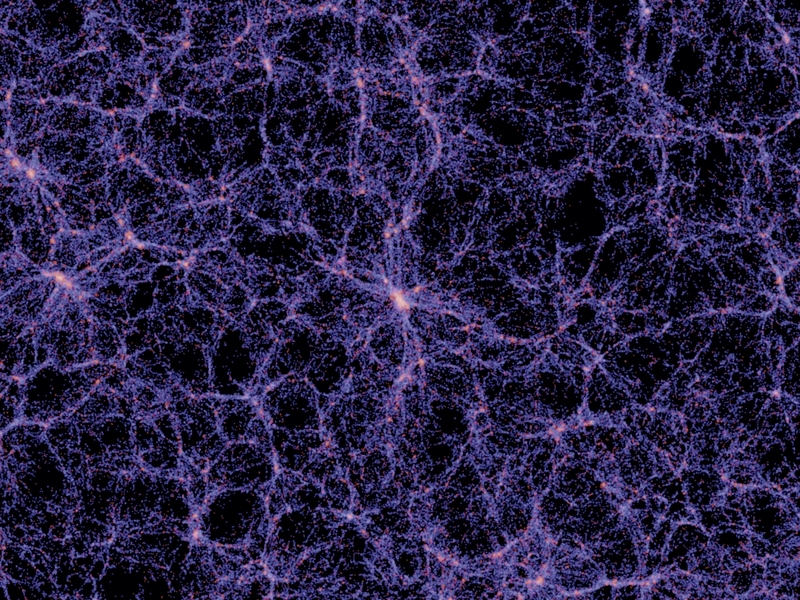 The cosmic web formed when matter in the early Universe coalesced into a network of filaments made up of both “ordinary” matter and dark matter. Ordinary matter—also known as baryonic matter—is the matter we see in stars, nebulae and galaxies. Dark matter is the enigmatic stuff of the cosmos we can’t detect except through its gravitational effect on ordinary matter. Clusters of galaxies formed where matter in the web is densest. But theories suggest that only 50% of baryonic matter formed into galaxies, and that the balance exists outside the galaxies in clouds of gas in the filaments. “The radio cosmic web is important to measure,” says Vernstrom, “because detecting it would be an indirect way of finding that missing 50% of the matter. A team of astronomers has doubled the number of known young, compact radio galaxies—galaxies powered by newly energized black holes. The improved tally will help astronomers understand the relationship between the size of these radio sources and their age, as well as the nature of the galaxy itself. In particular, it will help astronomers understand why there are so many more young radio galaxies than old. 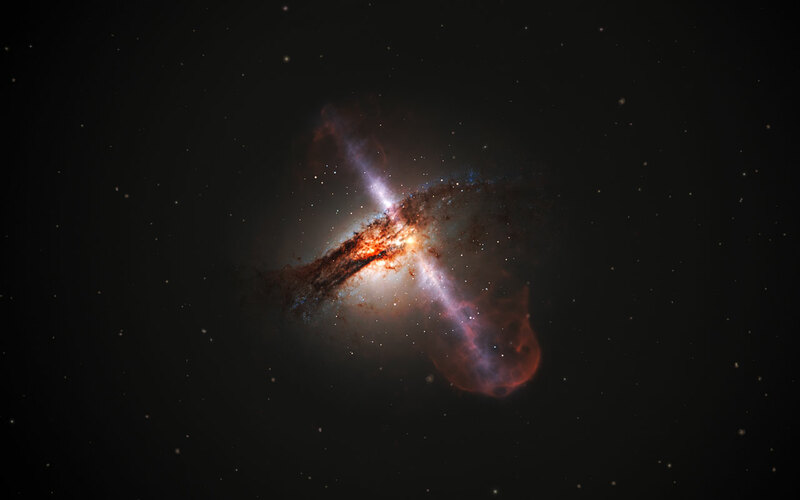 “We do not understand how radio galaxies evolve,” says Joseph Callingham, a postdoctoral fellow from the Netherlands Institute for Radio Astronomy (ASTRON) and lead author on the paper describing the result. In a survey of ninety thousand radio galaxies, the astronomers identified 1500 compact galaxies among them. The results are described in a paper published 20 February in The Astrophysical Journal. A radio galaxy is a galaxy that shines brightly at radio wavelengths. A super-massive black hole—typically with the mass of millions of Suns—powers this outpouring of energy. Gas and dust fall into the black hole, releasing vast amounts of energy. The energy is focused into two jets of particles, travelling in opposite directions at nearly the speed of light. As the jets blast through the galaxy, each generates its own lobe or hot-spot of radiation as it interacts with the gas in the galaxy. According to one model, compact radio sources are young because the jets have not had time to reach far beyond the central black hole. The hot-spots are relatively close together and we see them as compact sources. Over time, the jets reach farther out into the galaxy and even beyond its confines; the hot-spots are farther from each other, and we see a more extended, double-lobed source. In this simple model, the overabundance of young, compact radio galaxies raises the question: why don’t young, compact radio galaxies mature into old, extended radio galaxies? However, another model argues that the relationship between the age and observed size of a radio galaxy is not so straightforward. That’s because a compact source may be compact, not because it’s young, but because gas within the galaxy is dense enough to prevent the jets from extending far from the central black hole; i.e. it remains compact despite it’s age. “This study shows that it is possible a dense environment near the heart of the galaxy hinders and stops galaxy growth,” says Callingham, who did much of the research as a PhD student with the Australian Centre for All-shy Astrophysics (CAASTRO). The astronomers made the discovery using data gathered with the Murchison Wide-field Array (MWA), an interferometric radio telescope in the Western Australian outback. The discovery was possible because, unlike conventional radio telescopes that observe tiny patches of the sky at a time, the MWA sweeps large areas of the sky and is capable of observing across a broader range of wavelengths. 1) The Murchison Wide-field array combines the signals from over 2000 separate antennas. With an area of 2000 square metres, it has a collecting area equivalent to a conventional radio telescope dish. The MWA is located at the Murchison Radio Astronomy Observatory, the future Australian site of the Square Kilometre Array, around 700 kilometres north of Perth in Western Australia. Over the past three years, it has been used to survey 90% of the southern sky. 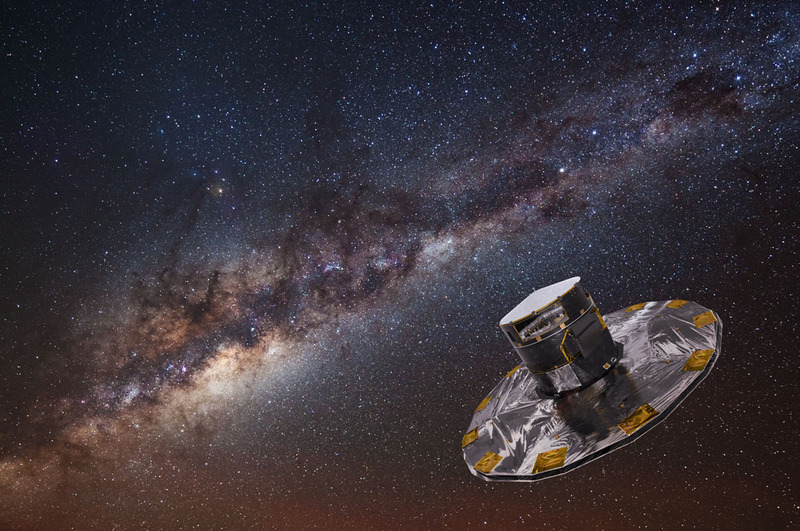 Using a novel method and data from the Gaia space telescope, astronomers from the University of Toronto have estimated that the speed of the Sun as it orbits the centre of the Milky Way Galaxy is approximately 240 kilometres per second. In turn, they have used that result to calculate that the Sun is approximately 7.9 kiloparsecs from the Galaxy’s centre—or almost twenty-six thousand light-years. Using data from the Gaia space telescope and the RAdial Velocity Experiment (RAVE) survey, Jason Hunt and his colleagues determined the velocities of over 200,000 stars relative to the Sun. Hunt is a Dunlap Fellow at the Dunlap Institute for Astronomy & Astrophysics, University of Toronto. The collaborators found an unsurprising distribution of relative velocities: there were stars moving slower, faster and at the same rate as the Sun. Hunt and his colleagues then combined this finding with the proper motion of the supermassive blackhole known as Sagittarius A* (“A-star”) that lies at the centre of the Galaxy to calculate the 7.9 kiloparsec distance. Proper motion is the motion of an object across the sky relative to distant background objects. They calculated the distance in the same way a cartographer triangulates the distance to a terrestrial landmark by observing it from two different positions a known distance apart. The result was published in Astrophysical Journal Letters in December 2017. The method was first used by Hunt’s co-author, current chair of the Department of Astronomy & Astrophysics at the University of Toronto, Prof. Ray Calberg, and Carlberg’s collaborator, Prof. Kimmo Innanen. But the result Carlberg and Innanen arrived at was based on less than 400 stars. Gaia is creating a dynamic, three-dimensional map of the Milky Way Galaxy by measuring the distances, positions and proper motion of stars. Hunt and his colleagues based their work on the initial data release from Gaia which included hundreds of thousands of stars. By the end of its 5 year mission, the space mission will have mapped well over 1 billion stars. 1) The RAdial Velocity Experiment, or RAVE, is a survey of stars conducted at the Australian Astronomical Observatory (AAO) between 2003 and 2013. It measured the positions, distances, radial velocities and spectra of half-a-million stars—over two hundred thousand of which are included in Gaia data. In November 2016, a powerful new instrument designed to search for distant, Jupiter-like worlds, reached its critical “first-light” milestone. 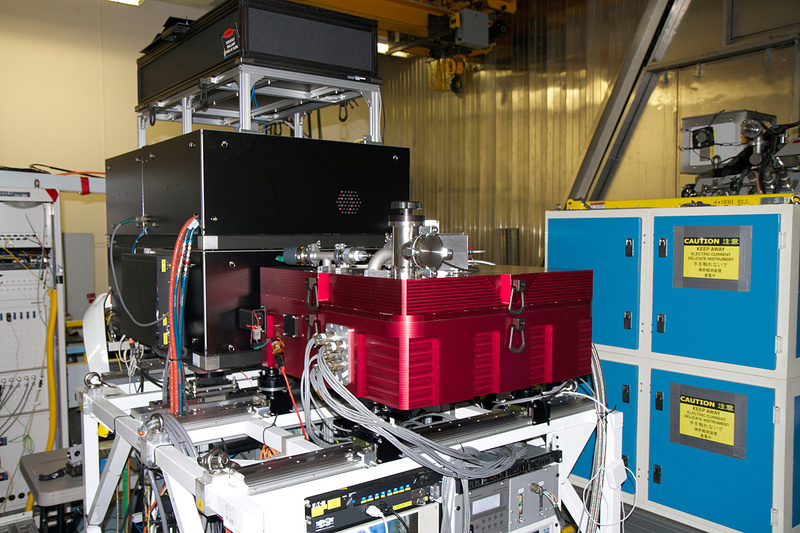 After years of development and testing, the Coronagraphic High Angular Resolution Imaging Spectrograph, or CHARIS, was declared operational and ready to gather data on the Subaru Telescope in Hawaii. CHARIS is the latest of a new breed of astronomical instruments designed to find planets beyond our Solar System—known as exoplanets—by imaging them directly. While the Kepler Space Telescope has found over two thousand exoplanets indirectly by measuring minute changes in the brightness of stars, CHARIS and other recently developed instruments like it allow astronomers to actually see distant worlds. “CHARIS has exceeded our expectations, which led to overwhelming demand for observing time even before we’d finished evaluating the instrument,” says CHARIS-team member, Jeff Chilcote, a Dunlap Fellow at the Dunlap Institute for Astronomy & Astrophysics, University of Toronto. A typical star is a million times brighter than a planet in orbit around it, so an exoplanet imaging instrument must integrate a powerful combination of technologies in order to find its quarry. First, the adaptive optics (AO) systems of the Subaru Telescope and CHARIS combine to greatly reduce the blurring caused by the Earth’s turbulent atmosphere. Then, a component called a coronograph blocks the light of the star, revealing the much fainter point of light that is the exoplanet. But CHARIS is more than an imaging instrument. It is also a spectrograph; it splits the light from its target according to wavelength. The resulting spectrum reveals a wealth of information about the exoplanet, including information about its motions, temperature and chemical composition. CHARIS was developed by an international team that includes Chilcote, and is led by Principal Investigators N. Jeremy Kasdin from Princeton University, and Masahiko Hayashi from the National Astronomical Observatory of Japan. Chilcote was also a member of the team that developed the Gemini Planet Imager instrument. 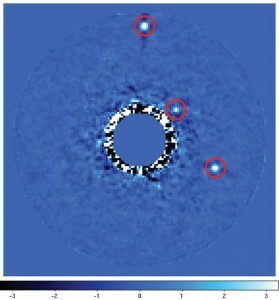 GPI is on the Gemini South Telescope in northern Chile and spied its first exoplanet in August, 2015. The CHARIS team will begin their search for distant worlds in February 2017. The CHARIS project included, in addition to Kasdin, Hayashi and Chilcote, a large team of researchers. The CHARIS instrument was designed and built at Princeton under the direction of Tyler Groff, who now works for NASA’s Goddard Space Flight Center. Other team members included: Michael Galvin, Michael Carr, Craig Loomis, Norman Jarosik, Johnny Greco, Robert Lupton, Edwin Turner, James Gunn and Gillian Knapp of Princeton; Mary Anne Limbach of Limbach Optics; Nemanja Johanovic, of the Subaru Telescope; and Timothy Brandt of the Institute for Advanced Study. 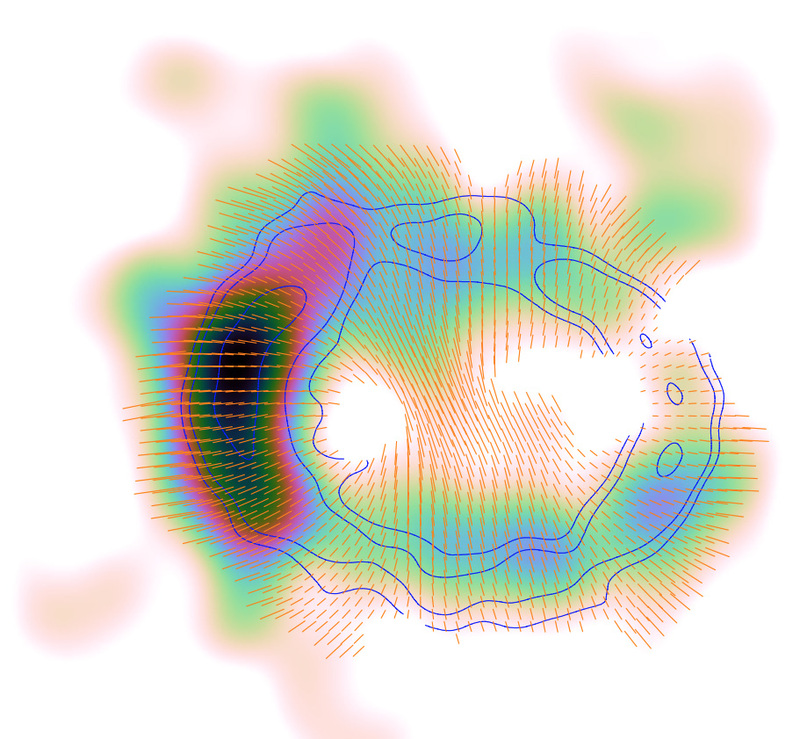 Their observations, to be published in the Astrophysical Journal in December, are the first to identify “star spots” on an MSP’s companion star. Plus, the observations show that the companion has a strong magnetic field, and provide clues into why pulsars in some MSP binaries switch on and off. 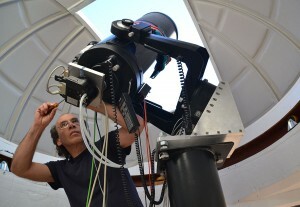 John Antoniadis, a Dunlap Fellow with the Dunlap Institute for Astronomy & Astrophysics, University of Toronto, and André van Staden, an amateur astronomer from South Africa, analyzed observations of the brightness of the companion star made by van Staden over a 15-month period, with his 30cm reflector telescope and CCD camera in his backyard observatory in Western Cape. The analysis revealed an unexpected rise and fall in the star’s brightness. In a typical MSP binary, the gravity of the pulsar distorts the shape of the companion star, pulling it into a teardrop-shape. As it circles the pulsar, we see a cyclical rise and fall in the companion’s brightness. The companion is brightest at two points in its orbit, when we see its broad, tear-shaped profile; it is dimmest midway between those two points, when we see its smallest, circular profile. Naturally, the light curve measuring the brightness rises and falls in step with the companion’s orbital period. But Antoniadis and van Staden’s observations revealed that the brightness of the companion wasn’t in sync with its 15-hour orbital period; instead the star’s peaks in brightness occur progressively later relative to the companion’s orbital position. Antoniadis and van Staden concluded that this was caused by “starspots”, the equivalent of our Sun’s sunspots, and that the spots were lowering the brightness of the star. What’s more, the spots were much larger relative to the companion star’s diameter than our Sun’s sunspots. They also realized that the companion star is not tidally locked to the pulsar—as the moon is to the Earth. Instead, they concluded that the companion’s rotational period is slightly shorter than its orbital period, resulting in the unexpected light curve. The presence of starspots also led the collaborators to infer that the star has a strong magnetic field, a prerequisite of such spots. A dedicated non-professional astronomer for many years, van Staden has a particular interest in pulsars and in 2014 came across Antoniadis’ research website listing MSP binaries with optical companions. Observations such as van Staden’s are critical in answering questions about the evolution and complex relationship between the MSP and its companion in “black widow” and “redback” binaries—pairs of stars in which the pulsar, like its arachnid namesake, devours its companion. 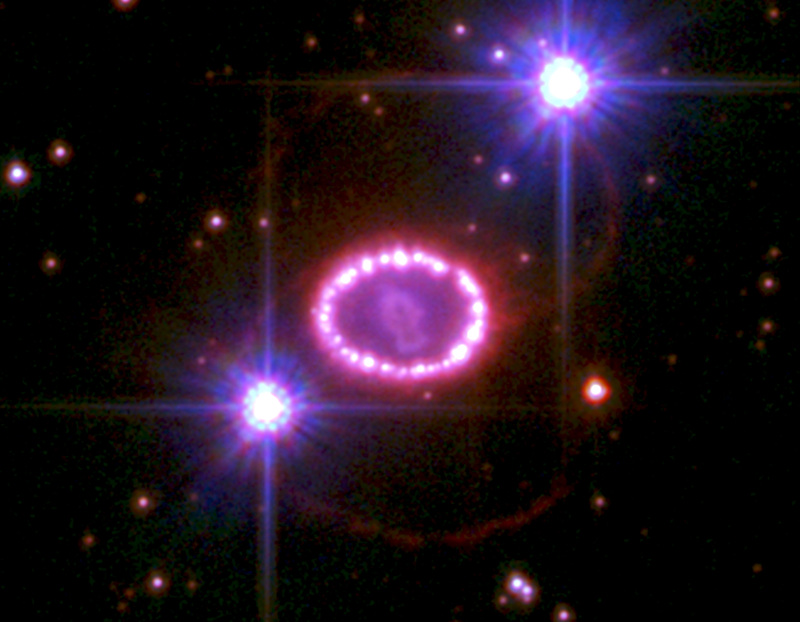 In a typical scenario, a newly formed neutron star feeds off of gas gravitationally pulled from the companion. As the pulsar gains mass, it also gains angular momentum and spins faster. Eventually, the neutron star is rotating hundreds of times a second. At this point, it enters the next phase of its evolution. The neutron star begins to emit beams of intense radiation that we see as a rapidly pulsating signal: a pulsar is born. At this point, the pulsar also begins to give off intense gamma-ray radiation and a strong stellar wind that staunch the flow of material from its neighbour. The companion is no longer being cannibalized by the pulsar, but it has only traded the means by which it is being consumed. 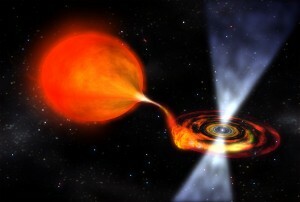 Now the radiation and wind from the pulsar are so intense they begin to erode the doomed star. As complex as these MSP binary systems are, they have only gotten more perplexing in recent years with observations that pulsars turn off and return to a state in which they are feeding off material from their companion—and that they can make this transition multiple times. It has been suggested that the pulsar’s stellar wind and radiation may be behind the transition. But an additional result from Antoniadis and van Staden’s observations is that the stellar wind from the pulsar is not affecting the companion. Typically, a pulsar’s strong stellar wind and intense radiation output create a “hotspot” on the pulsar-side of the companion. It is as if the star has a “day” and “night” side. But the presence of the hotspot was not detectable in the data. This could mean that the wind is either absent entirely or is blowing in a direction other than toward the star. Either way, this suggests that the companion’s magnetic field—and not the pulsar’s stellar wind and radiation—may be the mechanism that turns off pulsars. 1) The MSP lies 2500 light-years away, in the direction of the constellation Sagittarius. It rotates 540 times per second. The distance between the two stars is roughly 2 million kilometres, or 1/30th the distance between the Sun and Mercury. The pulsar is 1.3 times the mass of the Sun; the companion is 0.4 times the mass of the Sun. 2) Eclipsing MSPs are classified based on the mass of their companion star: “Black widow” companions are a few hundredths the mass of the Sun; the more massive “redback” companions range from 0.2 to 0.7 times the mass of the Sun.